Made of warm, recycled double-faced polyester fleecePullover with three-panel hood construction and 4-snap placket reinforced with Supplex(R) nylonLeft-chest pocket with Supplex nylon flap and snap closureFront and back yoke seamsKangaroo-style handwarmer pocketsSpandex binding on hood opening, cuffs and hemHip length10.6-oz 100% polyester (86% recycled) fleece654 g (23.1 oz)Made in Nicaragua Material: Recycled Polyester We recycle used soda bottles, unusable second quality fabrics and worn out garments into polyester fibers to produce many of our clothes. On Sale. Free Shipping. 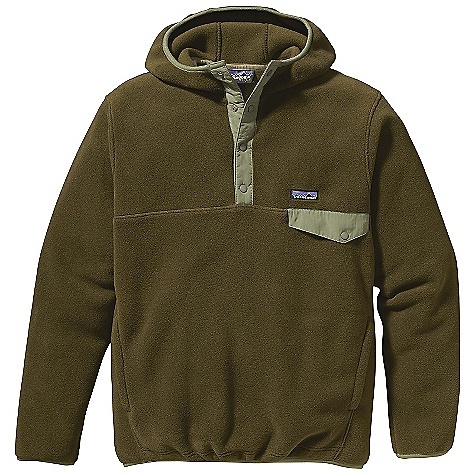 Patagonia Men's Snap-T Hoody DECENT FEATURES of the Patagonia Men's Snap-T Hoody Made of warm, recycled double-faced polyester fleece Pullover with three-panel hood construction and 4-snap placket reinforced with Supplex nylon Left-chest pocket with Supplex nylon flap and snap closure Front and back yoke seams Kangaroo-style hand warmer pockets Spandex binding on hood opening, cuffs and hem Hip length The SPECS of the Patagonia Men's Snap-T Hoody Regular fit Weight: 23.1 oz / 654 g 10.6-oz 100% polyester (86% recycled) fleece This product can only be shipped within the United States. Please don't hate us. Bouldering and surfing share a common trait - waiting for the action. When you're resting between burns or lying low before paddling out, this hoody provides the warmth of a sweatshirt with the technical benefits of double-faced polyester fleece. It wicks moisture when you're going for the dicey topout, dries quickly and feels soft on bare skin. Front and back yoke seams allow a full range of shoulder motion; kangaroo pockets warm your hands. Comes with a left-chest snap pocket with Supplex flap, three-panel hood, 4-snap placket and smooth binding around the hood opening, cuffs and hem. Hip length. 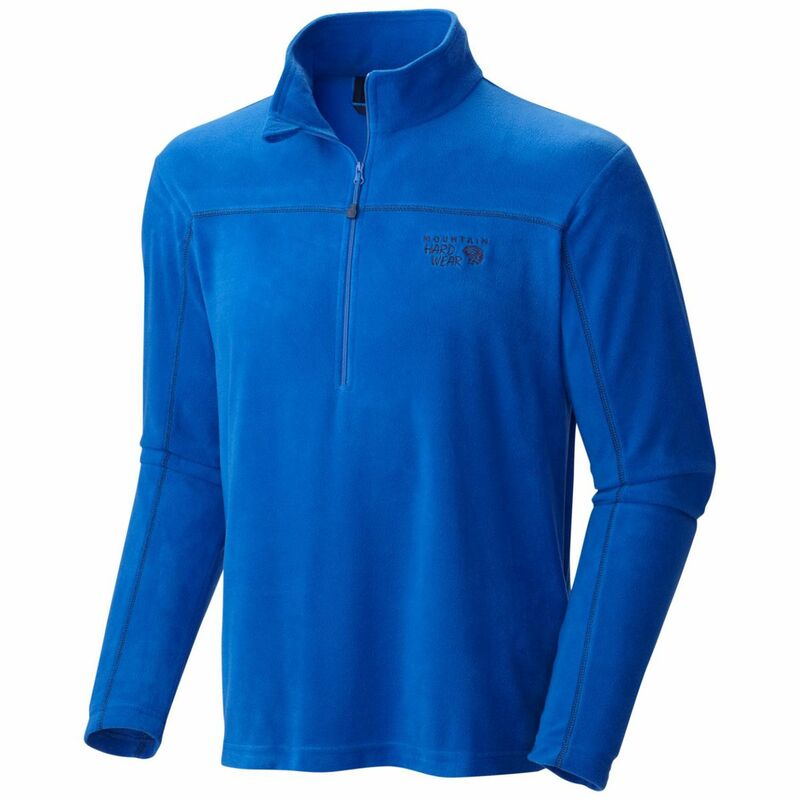 Made of warm, recycled double-faced polyester fleece. Pullover with three-panel hood construction and 4-snap placket reinforced with Supplex nylon. Left-chest pocket with Supplex nylon flap and snap closure. Front and back yoke seams. Kangaroo-style handwarmer pockets. Spandex binding on hood opening, cuffs and hem. Hip length. 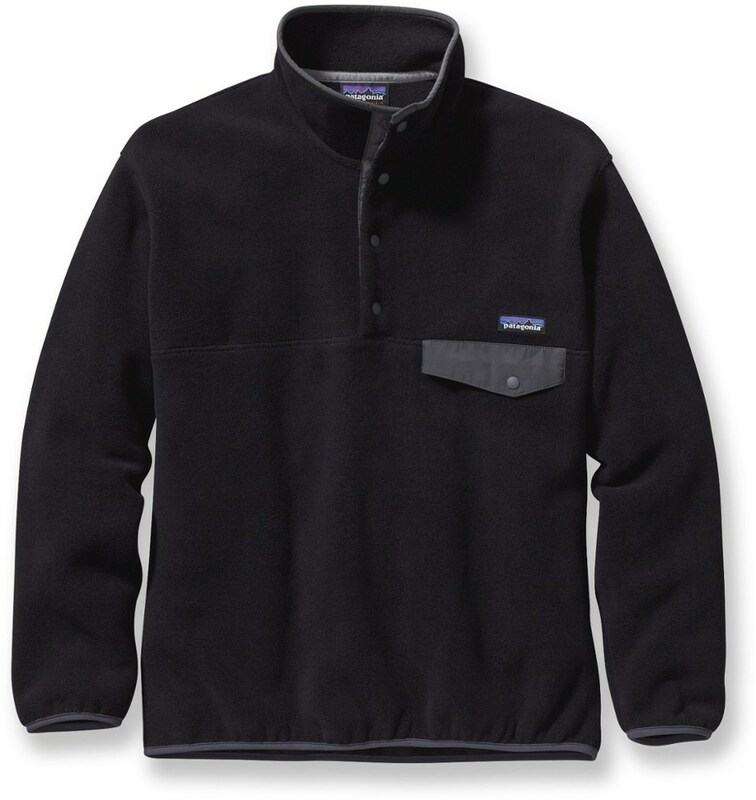 10.6-oz 100% polyester (86% recycled) fleece. 654 g (23.1 oz). 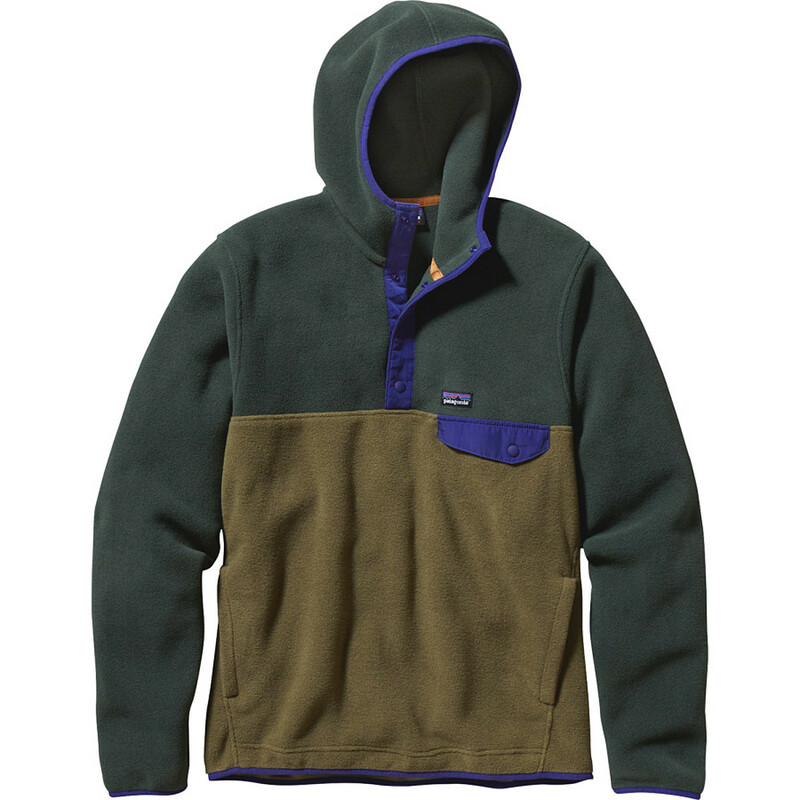 Patagonia's newest member of the versatile Snap-T clan: The Snap-T Hoody is made of 10.6-oz recycled polyester fleece and has a hood for extra warmth. Bouldering and surfing share a common trait ? waiting for the action. When you?re resting between burns or lying low before paddling out, this hoody provides the warmth of a sweatshirt with the technical benefits of double-faced polyester fleece. It wicks moisture when you?re going for the dicey topout, dries quickly and feels soft on bare skin. 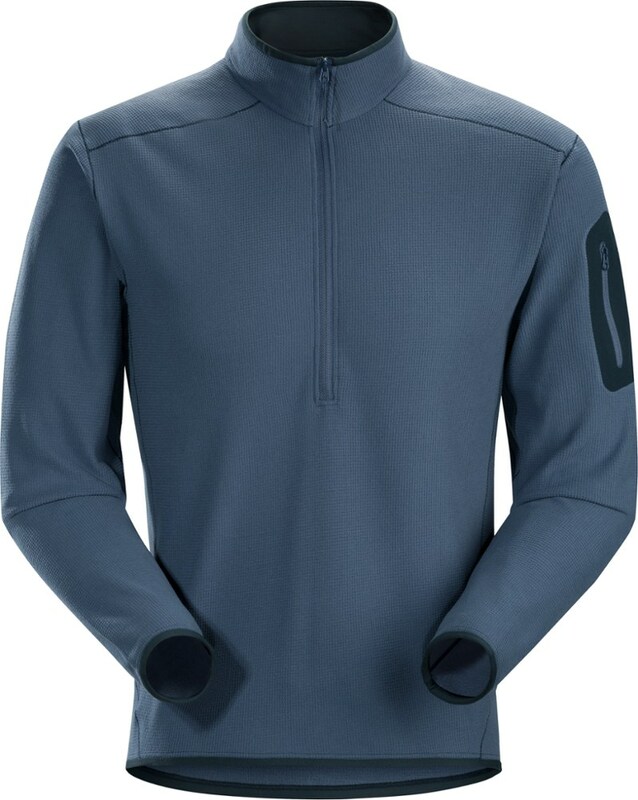 Front and back yoke seams allow a full range of shoulder motion; kangaroo pockets warm your hands. 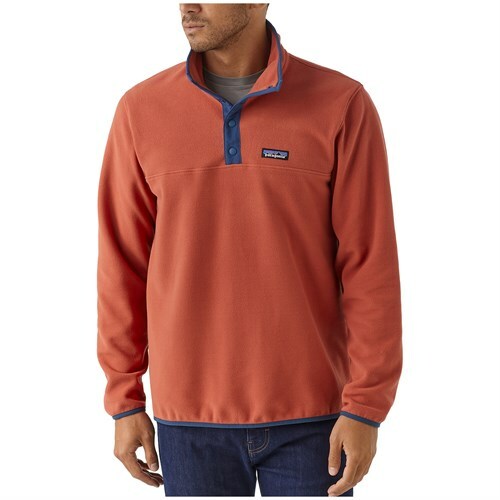 Comes with a left-chest snap pocket with Supplex(R) flap, three-panel hood, 4-snap placket and smooth binding around the hood opening, cuffs and hem. Hip length. 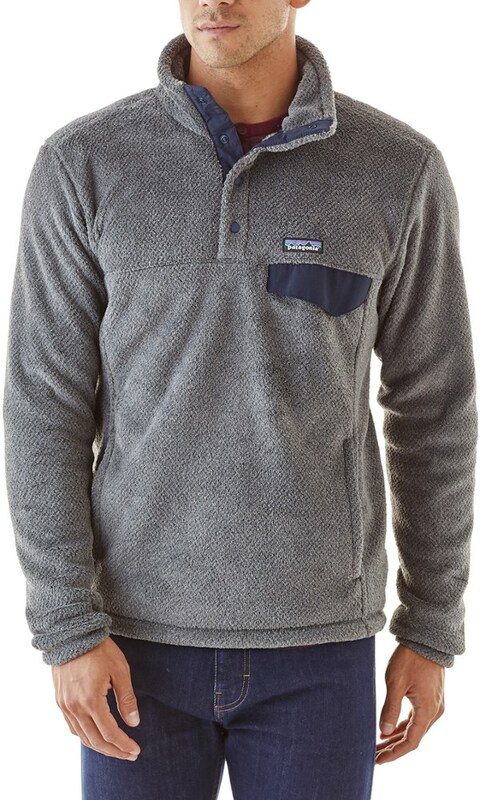 The Patagonia Snap-T Hoody is not available from the stores we monitor. It was last seen May 23, 2014	at River Sports Outfitters.